Manchester United boast of one of the best football academies in Europe. They have produced top talent like Ryan Giggs, Paul Scholes, David Beckham and now Marcus Rashford. However, it doesn’t always work out for aspiring youngsters many of whom get shipped off to other clubs permanently. Some are sent out on loan to garner more first team experience and prove themselves worthy of a place in the Red Devil’s vast squad. 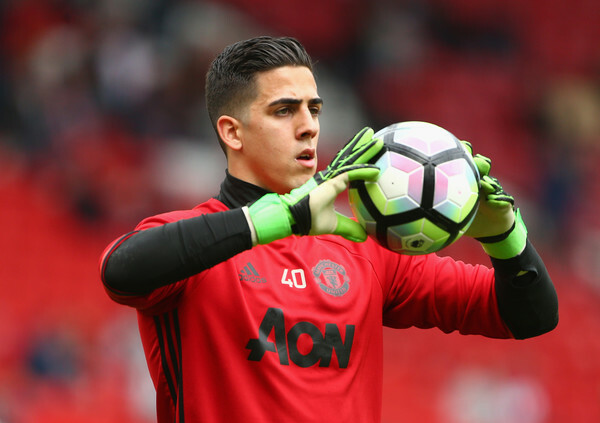 One is Manchester United goalkeeper Joel Castro Pereira, who was shipped off on a season-long loan deal last summer to Portuguese club Vitoria Setubal. Pereira has had an impressive spell at Setubal so far, he has even earned high praise from Jose Mourinho who regards him as the best goalkeeper in the world right now. However, that counts for little when he has both Spain (David de Gea) and Argentina’s (Sergio Romero) first choice keeper ahead of him in the pecking order at Old Trafford, the former having received the same high praise from Mourinho. Nevertheless, Pereira has bags of potential and so far, he has played eight games for Setubal who currently sit 8th in the Primeira Liga. Pereira has kept two clean sheets in his eight appearances, which shows that the youngster is becoming a force to be reckoned with between the sticks. Pereira has impressed Mourinho and could now be gunning for Sergio Romero’s role as backup to De Gea next season. If he can stay in form, he could find himself ahead of the Argentine come next season.